We have already written some articles about heat map tools, on how to use them in your daily decision making and how to make those maps actionable. Choosing your click heat map tool isn’t easy, but with this month’s sponsor, we try to make that decision a bit easier. Our sponsor for this month is MonkeyTracker, a company that provides a very fast, reliable and simple way to generate a click heat map and scroll map. MonkeyTracker is one of the easiest tools to generate heat- or scroll maps we’ve tried out so far. Simply navigate to the page for which you would like to generate a click heat map, press a key shortcut and the heat map is loaded as an overlay on top of the page. The scroll map shows you the scroll depth and how many page views were used to calculate it. MonkeyTracker also supports responsive designs. 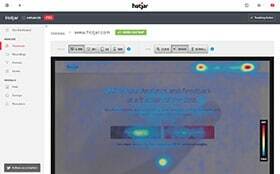 Simply resize your browser window and the heat map will generate the clicks which were produced on that size. You can define certain parts on your page that won’t need any recording. Think about popups, advertisement and the like. MonkeyTracker comes with IP filtering, allowing you to exclude your own clicks (or your company’s) from being collected for the click heat map generation. One other neat feature is page grouping. This can be used to aggregate the clicks on pages with a different URL but a common structure. For example, the different product detail pages of an e-shop have a different URL but use the same template page so to speak. Fair enough, MonkeyTracker does not have all the features you might expect, such as exporting the different maps and filtering on clicks, but I’m pretty sure that is in the pipeline. MonkeyTracker has several subscription options and are, to my opinion, relatively cheap. They even have a subscription which is completely free of charge. This free subscription includes responsive and mobile web pages, the click and scroll map and up to thirty thousand recorded clicks per month. Pretty impressive I might add. MonkeyTracker is giving a 30% discount on all paid subscriptions, just to our readers. The promocode will also double the limits on all subscriptions, including the free one. 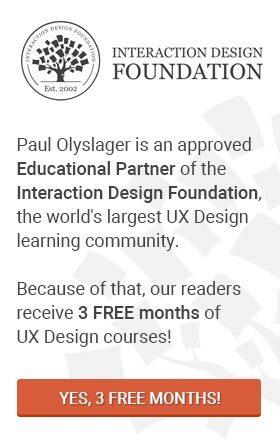 The promocode: paulolyslager. Wondering where to fill use the code? Have a look at the Youtube video. Try out Monkey Tracker now! A click heat map generated by Monkey Tracker.